Located alongside the SmartFood Expo™! Progressive Grocer supports retail health & wellness initatives. Now in our 6th year, The Retail Dietitian Healthy Shopper Summit is continuing the success of our Retail Dietitian Symposium. We're offering an immersive program designed to promote a 360-degree, total-store solution approach to health & wellness. We recognize that this is an evolving industry. This year, we are expanding the event to include and support retailers, CPGs and vendors that are working toward providing health & wellness options for customers. We are committed to giving you an informative, valuable experience. Our goal is to arm our attendees with inside knowledge on the business of nutrition, health and wellness. We're offering engaging speakers, dynamic content on top trends, unique networking opportunities, as well as the ability to earn continuing education credits for retail dietitians. Join us in creating total wellness solutions from RD to Rx. 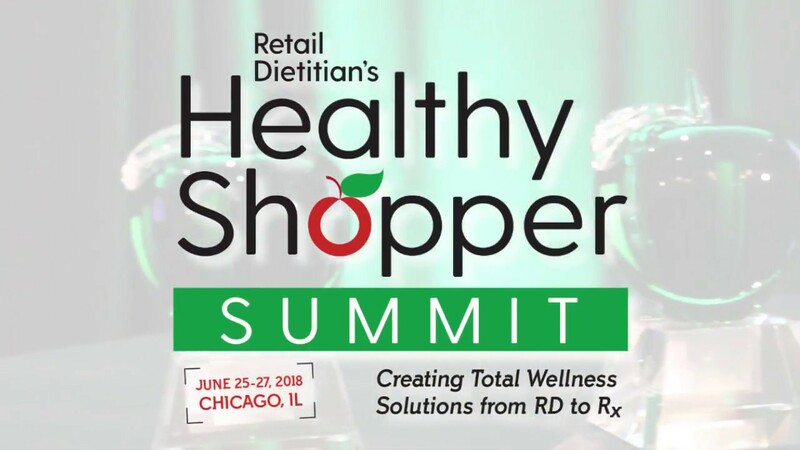 The Healthy Shopper Summit will be held in conjunction with the United Fresh SmartFood Expo™ allowing for a complete immersive experience in the world of healthy food and consumer wellness programs.